Superman, Batman, and Wonder Woman! 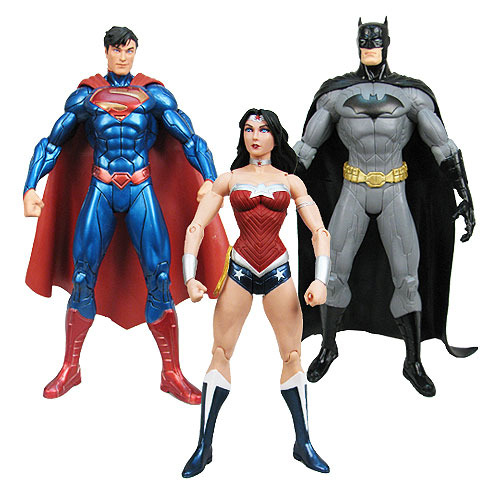 Action figure 3-pack includes the trinity of iconic heroes. Check out Superman's metallic paint! Capture the excitement and action of the Justice League comics with this special action figure 3-pack that includes the trinity of iconic heroes: Superman, Batman, and Wonder Woman! Superman features metallic paint, and Wonder Woman has a different head sculpt. Ages 14 and up.